In the last couple of issues of WPP, we've had a couple of projects from Kevin Ley that required a lot of turning. Now, if any of you are tempted to try the art for the first time, you might be wondering what you need to get started. So, ever helpful as we are here at WPP, we are putting together a series of articles on how to start turning, the equipment you need, how you sharpen it and how you use it. This will then lead nicely into a series of small projects which we will introduce you to called Turning by Numbers. All woodturning requires the use of a lathe. Lathes come in all shapes and sizes, but do one common thing - provide a stable platform to hold your wood while it spins around, so you can cut the timber to shape. This is the housing for the main spindle shaft, which is driven by the lathe motor. The spindle is threaded, by which means all the various mechanisms are fitted to hold the timber while it is turning. The most common sizes of spindle and thread are 3/4in x 16tpi (teeth per inch); 1in x 8tpi; 1 1/4 x 8tpi and 33 x 3.5mm. 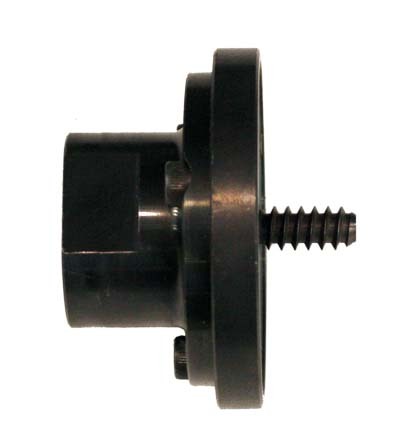 Most threaded spindles have a Morse taper hole in their end to push fit some mounting mechanisms. The most common sizes of Morse tapers are No.1 for smaller lathes, with No.2 by far the most common; the largest and least common is a No.3 Morse taper. Headstocks come in two types: a fixed headstock always inline with the lathe bed; and a swivelling headstock, which can be locked and unlocked and rotated so the spindle can point away from the lathe bed. The bed usually comprises two round, or rectangular, steel or cast iron lengths that are machined with a flat top. These run parallel to each other and it is on these we can fit a tool rest assembly and tailstock. Incidentally, the lathe capacity is measured by the distance from the spindle to the top of the lathe bed, called the swing; and/or between centres: the distance from the tailstock to the spindle, with the tailstock fully retracted. This is a rig that holds the tool rest, which is needed to brace turning tools against when they are cutting the workpiece. The tool rest can be raised, lowered, swivelled and locked, usually with a threaded locking device. The assembly itself can also be locked in any position on the bed, usually with a lever-operated cam. This unit slides up and down the lathe bed and can be locked in any position along it. In here is housed the tailstock quill. 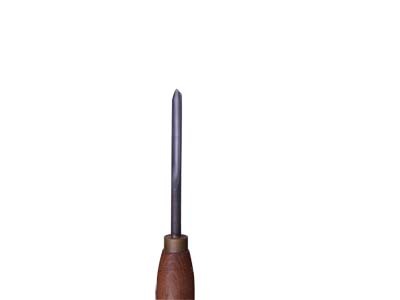 The quill can be wound forward and back and, like the headstock, has a Morse taper hole in the end to accept various fittings which are used to centre and support the workpiece, and also for drilling. A lathe needs a motor - its power is usually transmitted via a pulley & belt system, which uses different size pulleys to allow turning at different speeds, from as low as 3-400 revs per minute to 2-3000rpm. This is essential to be able to turn a variety of projects. 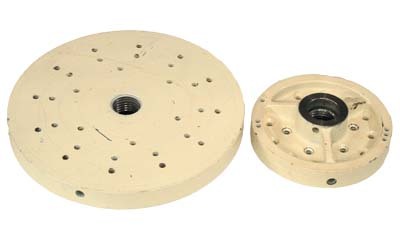 These pulleys have to be changed with the lathe stationary, but some lathes can change speed while it is moving, either with pulleys or electronically. Variable speed is useful but not essential, and it is more expensive. There at two main types of turning: spindle and faceplate - the later of which we will look at first. This style of turning is usually done with the grain at 90 degrees to the axis of the lathe when the headstock is inline with the tailstock - bowls & platters are typical projects. 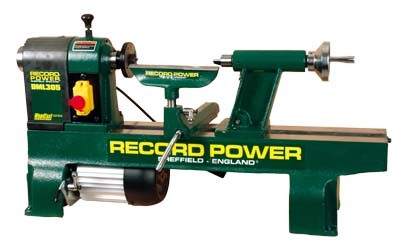 The timber is attached to the lathe with the titular faceplate, which the timber is screwed to; a screw chuck, which has a threaded bolt to attach the timber with; or with a scroll or geared chuck, which has jaws which expand or contract into recesses or spigots. These jaws will also accept mechanisms to convert it into a screw chuck. Most turners buy a chuck soon after starting, as it is so versatile. Spindle, or between centre, turning works with the grain of the wood running parallel to the lathe bed, and produces items such as chair and stair spindles, balusters, support columns, goblets, spoons, spirtles and so on. 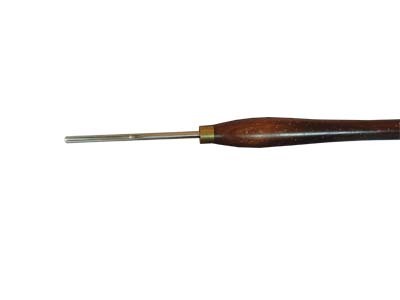 The headstock accessories used for this style of turning are called drive spurs, also known as prong drives - the latter usually preceded by a number relating to the prongs which bite into the timber end grain - so you have a four-prong drive. At the other end, the timber needs to be supported, but allowed to turn freely. To that end, revolving centres are fitted in the tailstock. These support the wood but run on bearings to revolve freely. 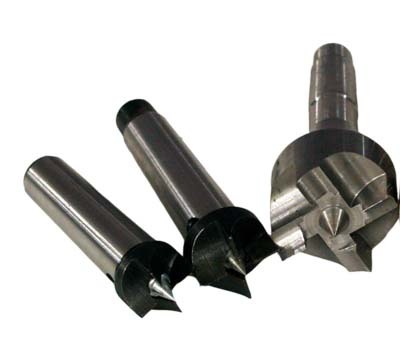 They push into the workpiece end grain via a conical spur. 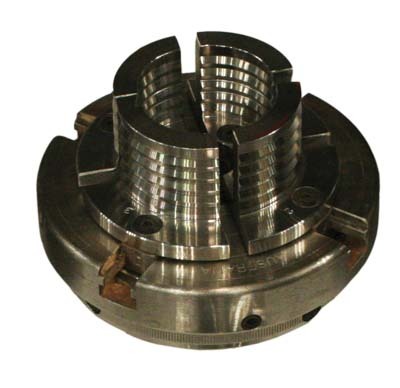 There are six basic tools which you will need to tackle spindle and faceplate turning. 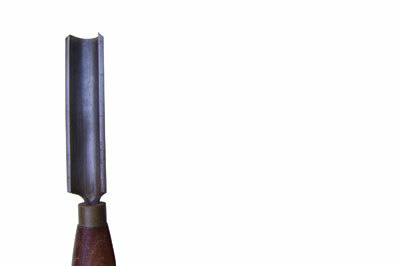 This gouge is usually made from a forged flat bar and the flute (the channel down the centre of the tool) has a U-shape to it. It is used to quickly remove a lot of timber to do the initial shaping of a spindle, typically when turning a log, baluster and so on. 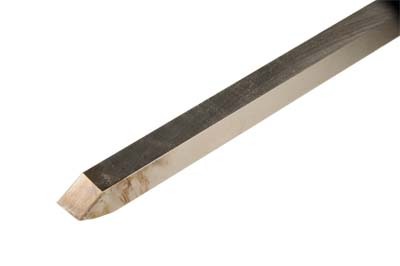 Start with either a 20 or 25mm spindle roughing gouge and build up your collection as you become more competent. 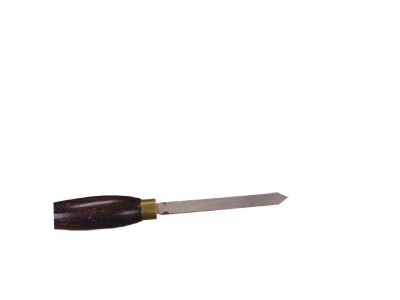 This is a gouge used for creating fine detail such as coves and beads, and for refining shape. 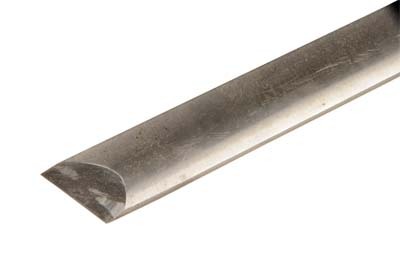 It is usually made from a milled round bar and the flute is shallow and semi-circular. Start with a 10-12mm version. This is the woodturner's version of the plane. When presented at a shear cut angle to the wood, it peels the wood off leaving a fine finish. It can also be used to roll beads and create incised V-cuts. They can either be oval in section or rectangular. A 19-25mm tool is a good size for the woodturner who is just starting out. a deeper flute which can be a U, V or parabolic curve shape. It is used to initially shape then refine curves on bowls and platters, which require a heavier-duty tool. A 10mm gouge is a good one to start with. 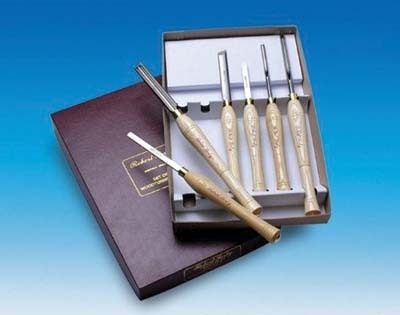 are effectively chisels used to shear timber fibres. A 3mm version is ideal. Usually flat, rectangular bars, which have various shaped sections on the end. These are ideally used to clean up and refine the work. 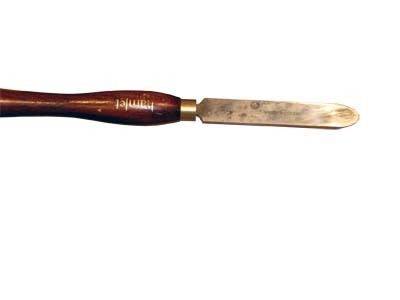 A 25mm scraper with a rounded end is a good choice to start with. will cover these at a later date, during project articles.